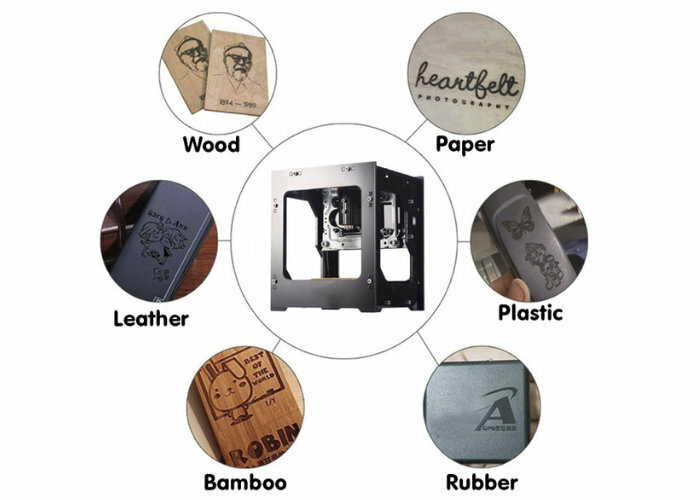 A small portable laser engraver has been created by a development team based in Miami, Florida which can easily etch designs onto wood, paper, plastic, rubber, leather and bamboo. Watch the demonstration video below to learn more about the features, design and technology within the portable laser engraver. The system is now available to back via Kickstarter with super early bird pledges available from €216, $249 or roughly £190, offering a considerable 60 percent saving off the recommended retail price of $649 which will take effect when the campaign comes to an end. – It’s extremely precise with a professional power IC and radiator, meaning your engraving will last much longer than other lasers and give you uniform striking power and the perfect image, every time!. – It has 4 built-in stiffeners and a light alloy structure combined with a ventilated and easy to replace laser tube for maximum reliability, so you can engrave as many things as you’d like. – The engraver is as big as a basketball, at 5.7 inches wide, 6.3 inches long, and 7.5 inches tall… so you can engrave from anywhere you want. – It has a high-quality metal frame that’s unique and lightweight, weighing under 4 pounds, making it portable and perfect for use at home or on the go. For full specifications and a complete list of all available pledge options jump over to the official Kickstarter campaign page by following the link below. If all goes well worldwide shipping is expected to take place during the Q1 of 2019.